Which side do you take in the ongoing debate about the value of bidding on your own brand terms? One side says it's not a good use of money, because you may have received some of the paid clicks for free. The other side claims that bidding on brand terms is a must in order to block competitors. We asked the Bing Ads team of data scientists to referee, drawing on the deep bench of results in Bing Search. Their call was that bidding on brand terms is a win-win for retail advertisers. Yes, it definitely blocks clicks to competitors. In addition, retail advertisers also score more clicks overall. 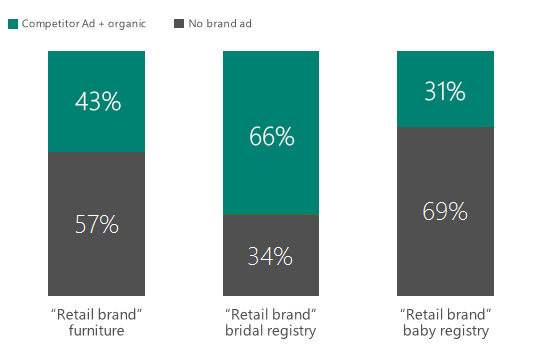 To discover this, we analyzed 3 million impressions for retail searches on Bing in December 2014 and included the majority of the brand terms searched for in the retail vertical. We compared two scenarios: when a brand term ad was present on the search results page and when one wasn't. Bidding on your brand terms blocks your opponents' attempts to capture your customers. 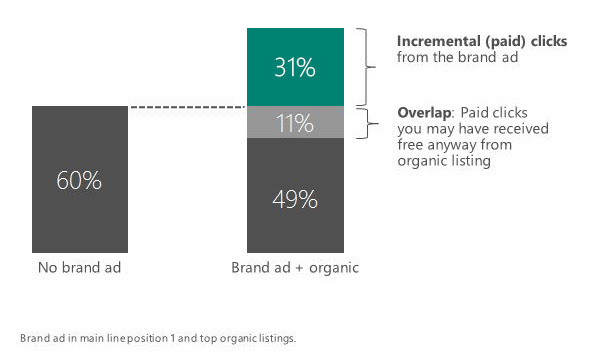 Advertisers who bid on their brand terms received more clicks overall. For the retail industry, when no brand ad is present, the brand received 60% of clicks on the search results page from organic listings. Total clicks increased 31% when an ad was present, with a close to equal proportion of those clicks going to paid and organic results. So, bidding on your brand is good strategy. If you don't bid on brand terms, you risk letting rivals “conquest” the searches for your brand. When you do bid on your brand terms, you score even more clicks. You're playing both defense and offense at the same time. Game on! To up your game even more, check out the stat-loaded presentation above or download it.